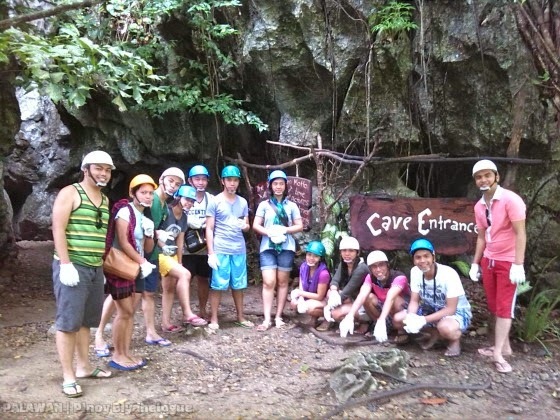 Day 2 of our Puerto Princesa itinerary was originally a whole day tour at the Underground River. But our driver told us that we would be dropping by another tourist spot in the city beforehand. 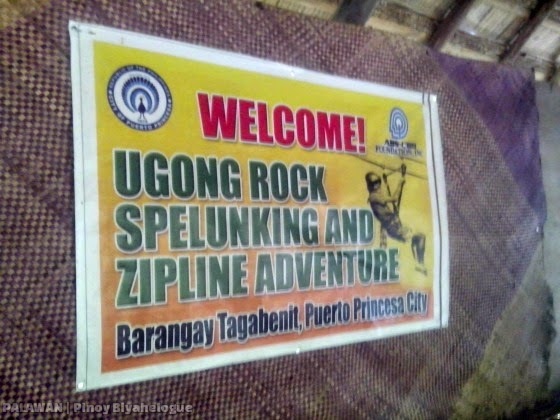 Ugong Rock Adventures is about two hours away from the city proper. 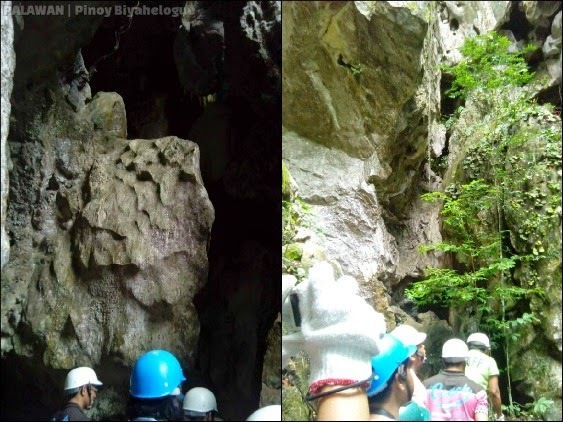 It boasts off a limestone formation that towers at the middle of farmlands and karst forests in Brgy. Tagabinet, north part of Puerto Princesa. 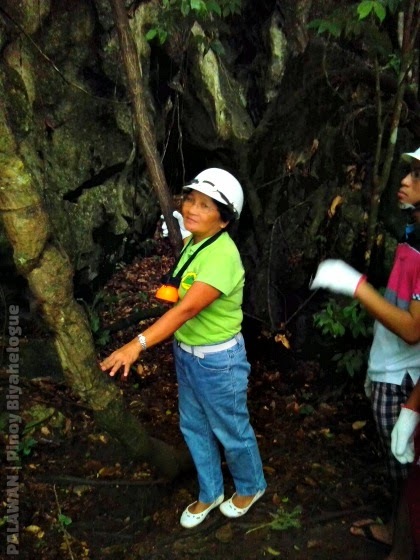 According to our guide, this 75-foot limestone formation was once submerged in water; it emerged after an earthquake. 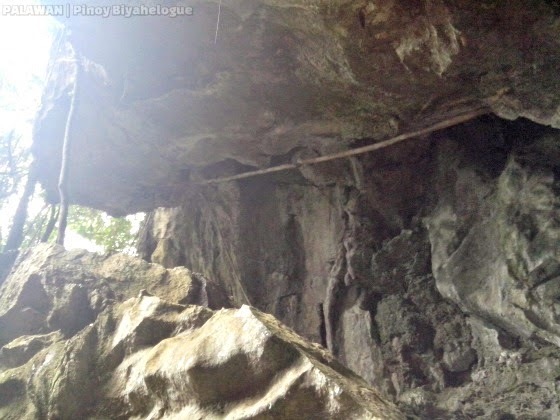 Ugong Rock has taken its name from the echoing sound (ugong) of cave rocks produced when tapping them. 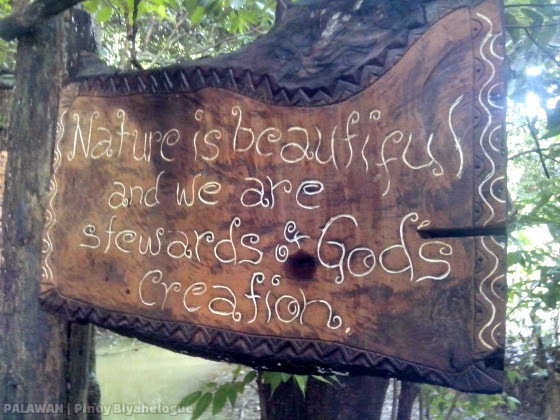 It is one of many places that shows how the city is blessed with "nature's artworks". 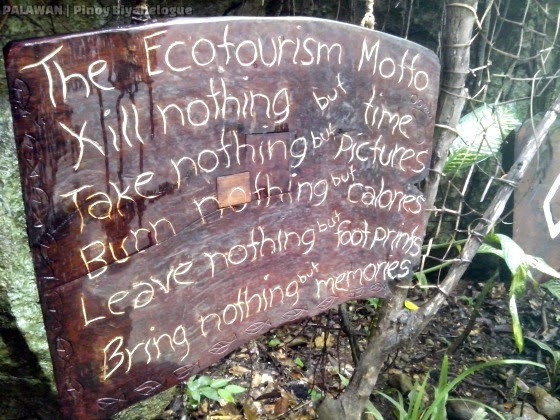 It offers one-of-a-kind experiences. 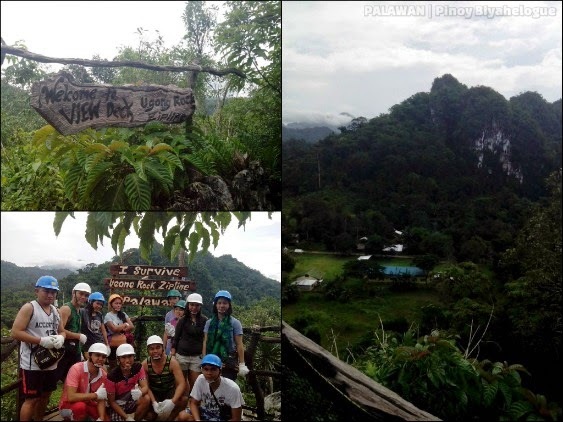 Let your imaginations run wild through the rock formations, climb up through steep rocks, pass through narrow passages, and shout to death while going back down through a zip line. 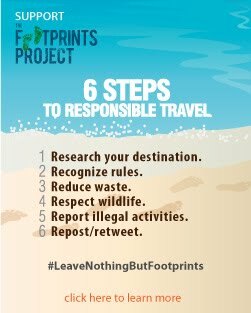 It is truly an adventure-packed nature trip! We had gone spelunking up to the view deck. 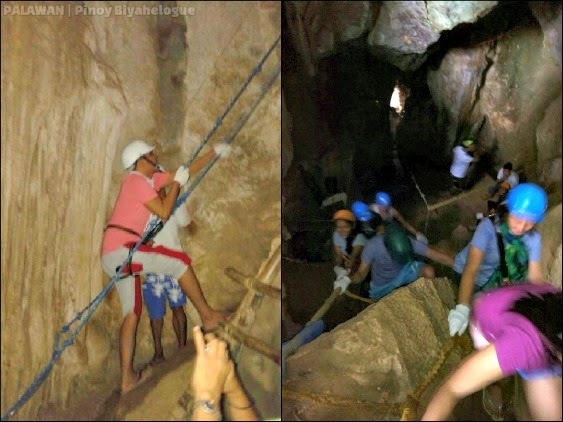 We paid PHP 200 each for this activity since it was not included in our tour package. The 40-minute climb is enough to break a sweat and stretch those cold muscles. The most exciting yet challenging part! 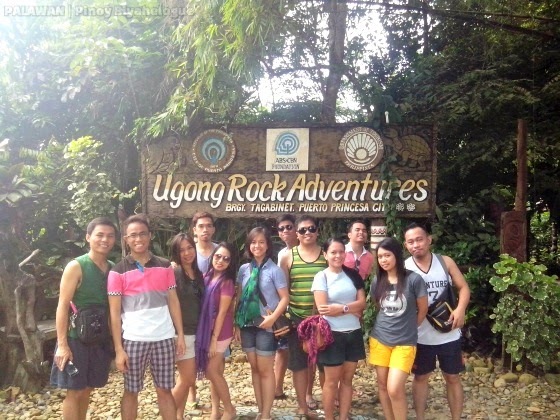 We survived Ugong Rock Adventure! Going back down, one may opt to zip line or rappel. 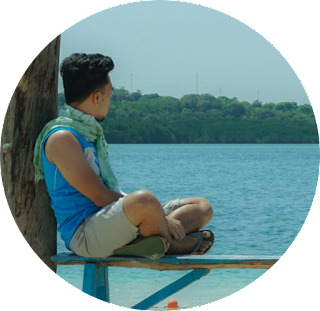 Both of which have an additional fee of PHP 250. But since we're on a tight budget and we still have a little strength left, we opted to go down ourselves. Pretty much easier anyway than going up since wooden stairs were provided for that purpose. 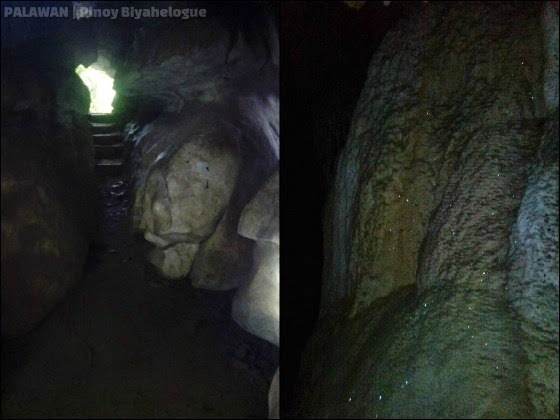 This Ugong Rock experience made me realize how artistic our Creator is. And He has blessed this country with such masterpiece. 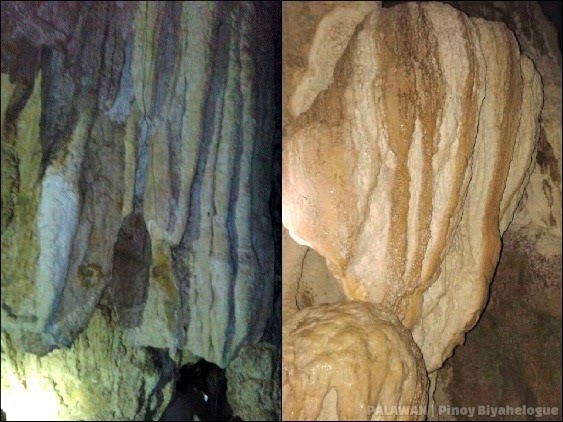 Not to mention the highlight of every Puerto Princesa getaway - the Puerto Princesa Underground River!